Searching for a used car for sale near Wallingford? Here at Acura by Executive, we maintain a large inventory of used Acura vehicles in stock, as well as plenty of non-Acura, used cars. You can feel confident in choosing any used car or used SUV from our inventory since we thoroughly inspect each vehicle and you won’t have to compromise quality to stay within your budget with our rotating pre-owned vehicle specials. After you’ve browsed our used inventory, stop by our showroom in North Haven near Hamden for a closer look. CALL US TODAY FOR A LIVE vehicle demonstration via FaceTime or Android. CARFAX One-Owner. 2016 Acura TLX Crystal Black Pearl, **LEATHER**, **MOONROOF**, **HEATED SEATS**, **BLUETOOTH**, **BACK UP CAMERA**, **One Owner**. Certified. 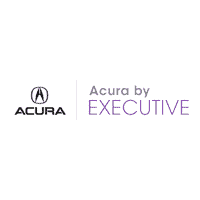 24/35 City/Highway MPG At Acura by Executive we provide our Best Price First for a fair fast and friendly buying experience. Reviews: * Cabin does a good job of filtering out unwanted noise; rear seat offers more legroom than many competitors; loads of features for the money. Source: Edmunds 2.4L Awards: * ALG Residual Value Awards * 2016 KBB.com 10 Best Luxury Cars Under $35,000 * 2016 KBB.com 5-Year Cost to Own Awards 2016 Kelley Blue Book Brand Image Awards are based on the Brand Watch(tm) study from Kelley Blue Book Market Intelligence. Award calculated among non-luxury shoppers. For more information, visit www.kbb.com. Kelley Blue Book is a registered trademark of Kelley Blue Book Co., Inc.
Because of our expansive inventory of popular used vehicles, we’re sure you’ll find a model you love while staying within your budget. Whether you choose a pre-owned Acura or a used vehicle of a different make, we’re confident you’ll find the right car for your lifestyle. You can even value your trade-in to save time before you visit us near New Haven. Once you’ve discovered the perfect vehicle for you, contact us today to schedule a test drive.